Join your colleagues, SDHF members, and friends as we gather to not only to celebrate the historic accomplishments we made for affordable housing in the past year, but also the compassionate spirit of all our members. We will honor our strong and supportive volunteers, complete with a special tribute to our 2018 Volunteer of the Year, Shannon Roark. We hope you consider a tax-deductible donation so we can continue to promote the creation of quality affordable housing for people in need. Your support aids in changing the lives of your fellow San Diegans. As part of our holiday celebration, we recognize the 2018 Volunteer of the Year, Shannon Roark, for her outstanding commitment and support of the San Diego Housing Federation. Chris Ward, San Diego’s District 3 City Council representative, has dedicated himself to improving and enriching every aspect of his communities. A rather busy man, he holds varying roles on 5 different city-wide committees and serves as chair of the RTFH. Yet, throughout his career, his focus on homeless and housing solutions has remained a priority for him. He believes everyone deserves a relaxing home to gather themselves and prepare for the days ahead. Councilmember Ward understands that thriving communities are rooted in the ability for residents to live where they work. He feels the rising costs of housing, but stagnant income levels, only contribute to homelessness in San Diego and wants to work toward affordable housing developments in order to “lift families out of crisis.” Providing a healthy city for individuals and families to live in safe, stable and secure homes is what Chris strives for as a leader. Councilmember Ward’s community involvement is important to him and he knows talking to residents is the key to serving a prosperous region. He enjoys learning how he can better serve his diverse and growing populations. One noticeable lesson he has learned regarding providing services for residents of Affordable Housing, is that they require “wrap-around” services in addition to their housing. He knows families of Affordable Housing need healthcare, employment services, access to transportation, and much more to get back on their feet and flourish in their communities. Having reliable access to these services will ensure a higher quality of life, according to Chris. Though his work is often an uphill battle, Chris knows the results are worth the fight. He believes the diversity of his constituents is a strength in the community when it comes to achieving results in housing affordability. To reduce San Diego’s homeless population, Chris works with all involved parties. Providing shelters, supportive services, developing more homes, and lowering rent costs are all areas he knows will significantly improve the lives of Affordable Housing residents. He finds it incredibly rewarding to be able to see the results of his efforts improving the lives of San Diegans in need. To give back to his fellow San Diegans, Chris enjoys being involved in community organizations that provide volunteer services for those in need. However he understands that giving back doesn’t have to be limited to just the holiday season. He is proud to be part of a community that continuously works to improve every aspect of their neighborhoods year-round. Thank you, Councilmember Chris Ward, for your never-ending support of SHDF and for your incredible efforts in making San Diego a more affordable place for all! A man who declares he simply wants to enjoy life, Brian Woods runs 5ks in his free time and likes to challenge himself with new endeavors. Still relatively new to the world of Affordable housing, he finds this field of work so important because he gets to change someone’s life every day. He believes home can be defined in many different ways and revels in being able to give people a sense of pride in where they live. Ever dedicated, Brian took up running as a hobby almost 3 years ago to lower his glucose levels, but has found a true purpose and passion in the sport. Starting with one 5k in 2016, followed by 3 more the following year, he set a goal to complete at least one 5k per month in 2017. He ran 14 different 5Ks and signed up for a half marathon set for June 2018. An unfortunate back injury kept him out of that 13.1 mile run, but he certainly didn’t give up. Brian successfully completed his first half-marathon a few months later with the America’s Finest City Run in August 2018. With his newfound passion for running, he hopes to complete 4 individual half-marathons in 2019. He claims the activity became a habit because it keeps him healthy and he gets to lovingly prove his wife wrong. He laughs, sharing her reaction to his first half-marathon completion. “She commented on the picture I posted on Facebook saying ‘I thought you were crazy for doing this but you did it!! So proud.’” Brian’s 5k habit is a true testament to the way he lives his life; he dedicates himself to a cause and thoroughly enjoys giving it his all. A little over 3 years ago, Brian was in the market for a new job and came across a service coordinator position posted on Facebook by his former coworker. After reconnecting, she hired Brian as a Regional Director of Hope Through Housing Foundation and he has been enamored with this work ever since. He remembers looking through his new organization’s website just after being hired and was excited to be part of the impressive work. Helping others and giving back to the community in such a unique way is what Brian continues to love about his job. One of Brian’s favorite aspects of his work is watching residents become engaged in their communities. He recalls the incredible transformation made at one of his senior properties that went nearly a year without a service coordinator. When he first visited them, he remembers hearing resident’s frustrations regarding the lack of attention given to them. Brian immediately got to work remedying the situation. He appointed a service coordinator and today, those same residents are fully participative and adore the activities put on by their resident services coordinator, Diana Aguilar. Brian delights in watching the communities grow, become happier and healthier, and continue to engage with each other and the services provided. Working with so many different residents presents a few different challenges and some heart-warming rewards for Brian. According to Brian, being able to reach all the different populations requires extra thought and care and he is happy to put in the work in order to make sure absolutely everyone has a chance to participate in an activity or service. Printing flyers in multiple languages and providing a translator at events are some of the ways Brian and his team ensure they overcome language barriers and are able to engage as many residents as possible. Brian originally heard about the San Diego Housing Federation through former Board Member John Seymour, who suggested Brian attend SDHF trainings and the annual conference to learn more about the sector. Because Brian was drawn to SDHF’s mission, he began to become more involved in the work and with the staff. Earlier this year, Brian was elected to a seat on the SDHF Board of Directors. Eager to be engaged in the organization, Brian is enthusiastic about the opportunity to learn more about financing and Affordable housing from his fellow Board members. He understands that his own unique skillsets perfectly complement the knowledge of the other Board members and looks forward to his future with the Federation. For Brian, Affordable housing means changing lives for the better. He also appreciates being able to change people’s perceptions surrounding Affordable housing. He remembers being surprised when he learned that what he thought was the luxury apartment complex he drove by every day was actually one of Hope Through Housing Foundation’s Affordable housing properties. Brian now understands and teaches others that low-income housing can and should be beautiful, new developments, where residents can thrive in a home they can afford. One reward of his job is that Brian is able to participate in many different donation drives throughout the year. At the senior properties, the holiday gift boxes never fail to light up the resident’s faces as they open their packages filled with lotions, jackets, various foods, and more. At the family properties, the back-to-school backpack drives are always a hit. Brian describes this particular annual event as being one of his favorites because the kids are ecstatic over the backpacks filled with school supplies, and their parents are thankful for the gift saving them money and alleviating a worry. As for the rewards that come with so many different populations of residents, Brian points to one fairly new intergenerational activity: seniors volunteering to wrap presents for children at the family properties. For the last two years, senior residents helped wrap the donations that came in from a Toys for Tots drive. Brian smiles as he talks about how the seniors now love to be involved with the sorting and wrapping of gifts, even though they have never met the children receiving the presents. Brian rejoices in uniting residents of Affordable housing through a selfless and cheerful holiday tradition. Brian, thank you for sharing your many talents with the Federation and always working hard to change someone’s life for the better! After moving to the United States as a young girl and living in someone else’s garage with her mother, Miriam Rodriguez fully understood the struggle that comes with California’s housing crisis. “I remember, we didn’t call [the garage] home. It was just a place to rest.” Today, she is grateful that her three children will not have to experience the same hardships she endured as a nearly-homeless child. Now as a devoted volunteer in her community, Miriam has dedicated herself to the housing cause, siting that she wants to make a difference and better the lives of those in need. Miriam first heard about San Diego Housing Federation’s Resident’s United Network (RUN) program during a power hour presentation given in 2014. She immediately felt compelled to join the coalition of residents because she was inspired by the “amazing, friendly and compassionate leaders and volunteers” who were sharing their stories and explaining why RUN is so vital in their communities. That spring, she was able to attend the Annual Lobby Day trip and from there, she was hooked. She found purpose in advocating for different laws to help the housing crisis. Taking on a leadership role and connecting to a wide network of residents is what Miriam loves about the program. She also enjoys being able to educate families in her community about all the resources available to them. With her family currently on the Section 8 wait list to move into an affordable home, the term “Affordable Housing” represents hope to Miriam. It means there is a “light at the end of the tunnel” for her family and that they will soon be able to officially join an Affordable Housing community as residents. For now, she is happy to share her advocacy work with residents in her current neighborhood. She firmly believes having an affordable home changes a community for the better and wants to show even more families why it is so important to come together and work toward progress. With RUN, Miriam enjoys working toward more housing solutions, such as Prop 1 and 2. In the past few months, Miriam joined a volunteer electoral team to register and educate voters on prop 1 and 2. She knows initiatives like these will change people’s lives dramatically. Her dedication to positive changes like Prop 1 and 2 stems from a desire to help the people living on the streets without somewhere to call home. Miriam is grateful to the people of RUN for always making sure she is included and her input is valued. Going to all the events, trainings, and parties makes her feel special knowing she works with such a passionate and dedicated group of people. Feeling as though she is part of one big family, Miriam appreciates that they all help each other out and she simply loves connecting with like-minded community leaders who all want to be part of the change. During the holiday season, Miriam’s selfless heart shines through once again, as she and her family make sure to participate in a gift drive at a local orphanage. She finds this method of giving back particularly meaningful because she believes that every child deserves to feel special and thought of, especially during the holiday season. With this in mind, Miriam hopes to instill the value of “lending a helping hand where possible” into her children as they grow. To celebrate Christmas, her family of five drives to Sequoia to enjoy the beauty in nature, spend quality time with family, and create unforgettable memories. Miriam, thank you for your never-ending desire to educate and enrich your community through advocacy. RUN is grateful for your leadership! From humble beginnings to statewide representation, Assembly Member Todd Gloria has dedicated his life to making San Diego a better place for all. He counts himself a truly lucky man to be able to be a voice for the interests of the people he calls “the pride of California.” He passionately believes the foundation for such a thriving community will always come down to housing and thus hopes to make housing affordability a top priority issue throughout California. Famously the son of a hotel maid and a gardener, Todd grew up with a clear understanding of what it meant to live under modest means. He knew when his family’s rent was increased and when his parents were forced to “reshuffle the deck.” While his family was never homeless, there were years when birthday and Christmas presents had to be sacrificed to pay rent. However, Todd recognizes that the problem is significantly worse for families today. He knows homelessness and housing affordability are the biggest problems plaguing his districts and districts throughout California. Because Todd understands that homelessness is merely a symptom of the larger housing crisis, he tries to define Affordable Housing in broad terms so as to allow as many people as possible to grasp the scope of the problem and work toward fixing it. His formal definition of the term Affordable Housing allows even stably housed individuals to see the problem as something that affects them too, because absolutely everyone deserves an affordable home. “Affordable Housing is the simple ability to live in a safe, stable, affordable home where people can live with some level of dignity.” When constituents are inclined to overlook the housing crisis as a whole and simply focus on the most noticeable symptom – homelessness – Todd sees it as his duty to help them understand the bigger picture and become true advocates for more housing. Building a strong coalition of people who fight for more and better housing is a task the district 78 Representative has fiercely embraced. Todd shares his SDHF origin story with a laugh, stating how it happened completely by chance. He moved into a new apartment and received the previous tenant’s monthly newsletter from the San Diego Housing Federation in the mail. Joking that he read it because he certainly agreed rent was rather high in the area, Todd points to that newsletter – which he just so happened to mistakenly receive – as a guiding factor toward getting him involved in the community. Today, the Housing Federation serves as Todd’s trusty informant as to what issues he should pay attention to in Sacramento. He acknowledges that in the fight for housing, a strong Housing Federation makes all the difference. Addressing challenges, seizing opportunities, and proactively working with key figures like himself are all traits Todd applauds the Federation for and has come to rely on. The Ruby Award Todd received from SDHF toward the end of his tenure on the City Council has been his most inspirational moment with the organization. Having his and his staff’s work validated and rewarded by an organization he so greatly admires, served as the acknowledgment he needed to journey on in this fight. While he admits his work is often difficult and can be discouraging at times, Todd feels recognition like the Ruby Award reminds him there are people cheering for him and he must keep pushing. Todd believes his public service “recipe” was initially demonstrated to him by his parents. While they were not necessarily active in the political arena, they did teach Todd and his brother one crucial lesson: if you care about something, you should leave it better than you found it. When his family didn’t own a car and needed to occasionally borrow a friend’s, Todd remembers always returning the borrowed car with a fresh wash and a full tank of gas. He now appreciates the gesture and sees it as the best way to show respect and care for something. This message of service was ingrained in him throughout his life and now shines through as he tries to make his community a better place. While Todd is quick to credit his wonderful parents for raising him with the best possible morals and values, he also knows he might not be in the position he holds now if it weren’t for his professional mentorships. The Aaron Price Fellowship program is what Todd points to as his “E ticket ride to public service.” Through this mentorship platform, he gained instrumental connections with the Price family and Congresswoman Susan Davis, who’s former Assembly seat Todd now occupies. The Price Fellowship, a youth leadership program, opened the doors for Todd to connect with key figures about civics, government, and public service. It provided the direction to drive something that he felt was already in him, but needed guidance in order to see his political ambitions come to fruition. As important as subsidized rent is for those living in Affordable Housing, Todd believes investing in resident services is the real key to positive outcomes for residents. He feels the service providers who are getting to know the residents on an individual level and who are building programs around unique circumstances are the unsung heroes of Affordable Housing. It is those dedicated staff members that allow individual residents to bounce back and achieve personal success. To illustrate the profound difference that onsite services can make in someone’s life, Todd tells the story of a previously homeless man who recently became interested in serving his community. Quality housing and the right supportive services completely changed this man’s life and put him in a position to turn around and give back now. Speaking candidly about the challenges of public service, Todd knows you simply can’t please everyone in this line of work. The challenge is to stand firm in what you believe in and allow the critics to share their opinions without discouraging you. However, Todd also understands how that precise diversity of people, opinions, and talents is also what allows San Diego to be such a prosperous and rewarding community for him to serve. The potential of such a diverse population is endless and Todd feels fortunate to be able to represent this vibrant and growing region. He firmly believes in the ability of San Diegans to achieve greatness, particularly when it comes to fixing our housing crisis. Among the rewarding aspects Todd finds in his work, the ability to serve as a voice telling people they truly can accomplish anything they dream of, stands out to him and stems from personal experience. As a gay person of color, Todd understood early on in his life that there would be certain obstacles for him to overcome in the public sector. Despite external, and sometimes internal, influences telling him he couldn’t, Todd used Christine Keyhoe’s 1993 election to City Council as a reminder that “you really can.” He had volunteered on her campaign and when Christine was the first LGBT person elected to office in San Diego, Todd decided that if it didn’t hold her back, it wouldn’t hold him back either. Today, Todd enjoys sharing a message of inclusion and diversity. He knows it still may not be easy to conquer such hurdles, but he reminds people that we are lucky to live in a world that consists of just enough people telling others they can get in. Everyone can accomplish their goals and contribute to the world around them in positive and impactful ways. As an Assembly member, Todd advocates for more affordable housing and healthcare, as well as a higher school graduation rate and many other issues. He recognizes that he wouldn’t be able to do all this if he had listened to the naysayers from his childhood. Because of this, he encourages anyone he encounters to believe in their potential and block out negative influence. Thank you, Todd, for your unwavering support of our organization and for your tireless efforts in making San Diego a better place for everyone. We are proud to hear that our newsletter helped spark your focus on Affordable Housing! Shannon has worked in Affordable Housing for roughly 12 years, so she is no stranger to serving others and improving the lives of Affordable Housing residents. Before moving into the nonprofit world, she had primarily worked with children—at school, at camp, and at church. When she learned about Resident Services, she found this particular field to be the perfect blend of everything she wanted in a job: she could work with students and their families, where they live, and affect change in their everyday lives by supporting them in all they do. Every position in her career has exemplified Shannon’s unwavering desire to enrich the lives of families everywhere. For Shannon, Affordable Housing carries two different meanings. She first defines Affordable Housing in a way that is similar to others in this sector: housing that simply allows one to pay their rent and still afford everything else in life. She notes that when her housing situation had been more affordable, she had “the freedom to pursue more.” She was able to make progress in other areas of her life when she worried less about the cost of her housing. Affordable Housing as a field of work, however, takes on a different meaning for Shannon. It allows her to pursue a kind of social justice by serving people in a way that positively impacts their life. Shannon has been integral to one of SDHF’s core programs, the Resident Services Support Network (RSSN), since the start. Today, she is instrumental in planning monthly workshops and the annual RSSN Institute. With so many years of experience, she knows what works and what doesn’t. Shannon feels having a direct connection with SDHF, by way of a dedicated SDHF staff member sitting on the RSSN Advisory Board, allows the program to be fully supported in a much stronger way. She knows a good resident service provider must have multiple strong qualities. They must be willing to invest in their residents, to build trust, be consistent, and be helpful. Within that important relationship is where change occurs and people feel better about the supportive services they receive. Without the personalized relationship, Shannon feels it may as well be a basic computer program residents engage with. She also knows a service provider ought to be strong enough to expect greatness from their residents. She feels communities improve for the better when they are challenged to meet a standard. Shannon also fully understands the struggles associated with serving such a multitude of people. She believes every resident is on their own journey and it is the service provider’s job to try and meet them wherever they are in that journey. However, she recognizes that cultivating such a connection is easier said than done. Not every resident is open to assistance and often Resident Services professionals struggle to engage them to their full potential. The challenge then lies in providing, offering, engaging, and persevering anyway. According to Shannon, the rewarding moments occur when the connection is finally made. We are so thankful for your help and kindness no matter the event or the challenge. You go above and beyond in all you do, and we want to let you know that we not only see it, but we appreciate it and appreciate you. Congratulations on being chosen as the 2018 Volunteer of the Year! Devoted mother of three and Chicago native, Lavearn London jokes that after her divorce she stayed in San Diego because, “the weather is just so nice.” But Lavearn understands that this choice did not come without a price. Struggling to make ends meet, she and her eldest son lived with friends prior to being given the opportunity to live in the Affordable Housing community President John Adams Manor (PJAM) nearly four years ago. “It was really a blessing,” she explains. 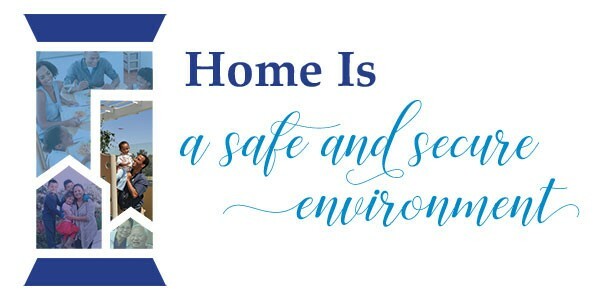 Lavearn knows firsthand just how essential Affordable Housing communities are to low income individuals and is dedicated to giving back to those who find themselves in the situation she did not so long ago. The retired matriarch of a growing family has set out to fulfill her passion for helping others by volunteering. She explains that she resisted retirement, but was forced into it due to health reasons. While volunteering at a community center with the MAAC Project, Lavearn learned about SDHF’s Residents United Network (RUN). She thought the idea of empowering residents to be leaders was exciting and felt it was a great way to get more involved. Over the years, RUN has become Lavearn’s extended family. Through the network, she has made friends that not only share her advocacy interests but also whom she has come to rely on and care for deeply. Lavearn is also grateful to RUN for giving her the opportunity to speak up for the issues that matter to her and make changes in her community. This desire to make a difference and help others underscores why Lavearn speaks so enthusiastically about Lobby Day, an annual trip to Sacramento made by RUN members and several SDHF staff members. She points to this event as her favorite and most exciting part of volunteering with RUN because she gets the chance to speak directly with politicians about housing policies. Beyond sharing her story with California legislators in Sacramento, Lavearn has also testified at City Hall in San Diego regarding local housing measures. Lavearn enjoys going on advocacy trips with her fellow RUN members and appreciates that they always make sure to take care of her amidst any health setbacks she experiences. While Lavearn’s holiday traditions have changed over the years, she still believes the holiday season should be dedicated to family time. When her kids were young, she loved baking and cooking for them before each big holiday. Her giving spirit led her to stay up until 2 or 3 in the morning sometimes to finish baking various pies and foods for her family! These days, her grown children and grandchildren take over the cooking, and Lavearn delights in having passed the torch. Lavearn is a true testament to what a dedicated resident can accomplish in their community. We are proud to have her volunteer with RUN and empower other residents to get involved. Thank you for all you do, Miss Lavearn! Madelyne was working as a clinical social worker in a senior center when she came across an ad for a social services position in the Affordable Housing sector. As she puts it, “that was that.” She worked as the Director of Social Services with an Affordable Housing developer for roughly 8 years before her passion for this business drove her to start her own company focusing on high quality services for seniors, disabled persons, and families living in Affordable Housing. After 7 years growing and maintaining MJ Housing and Services, she now oversees 57 Affordable Housing properties across the country. Madelyne is simply dedicated to improving the lives of Affordable Housing residents everywhere. Starting her own company as a young woman is what Madelyne points to as her greatest challenge yet. Being the “big boss” and taking that risky leap of faith was certainly something new for Madelyne, yet she did not shy away from it and she never lost sight of her vision to enhance the lives of Affordable Housing residents across the U.S.
Madelyne’s involvement with the San Diego Housing Federation dates back over 10 years when she became a member of the organization and started attending as many SDHF events as she could. Her strong support of SDHF’s mission led her to serve multiple years on the Ruby Awards Selection Committee; she states she was thoroughly engaged with the process of screening applicants and selecting award recipients. As a mentor to many interns and young adults she meets through various committees, Madelyne advises aspiring young professionals to be a visionary of their desired path because as she says, “you can’t create it, unless you can see it.” She values agility and adaptability most of all, explaining that with so many “cooks in the kitchen” of the Affordable Housing world, you have to be able to constantly shift your model or way of thinking in order to keep improving and keep growing. Every MJ Housing property is committed to providing top-of-the-line resident services. Madelyne knows every single resident will have different needs depending on their situation. For seniors, a top priority for her and the organization has become their Coordinated Care program. In this program, Affordable Housing properties collaborate with hospitals and health insurance companies to provide medical care to residents in need. Madelyne jokes that she could talk about coordinated care forever and is constantly trying to improve the program for her seniors and disabled. As for the families living in MJ Housing, she focuses on providing after school programs for the children. Madelyne’s unwavering desire to improve the quality of life for all of her residents shines through when she talks about cultural sensitivity at her properties. She strives for diversity at all MJ properties and understands that with diversity comes a myriad of holidays, traditions, celebrations, customs, and cultures. Madelyne and her staff work hard, through numerous cultural sensitivity trainings, to make sure every resident is communicated with properly and their culture is welcomed within the community. Thank you, Madelyne, for seeing the challenges others face and helping to find the best solutions for their specific needs. You exemplify what it means to connect and embrace others both in your work and personal life. We are better to have you as a member! Ever so passionate and driven, Bree defines herself as a busy single mother of twin boys, simply trying to make the changes she thinks is best and right for the world. She is a mentor, a business owner, a charitable woman, a concerned citizen of San Diego, and dedicated to all things Affordable Housing. Bree recognizes what it means to make sacrifices due to lack of affordability. She believes the roughly thirty percent of one’s income going toward rent or mortgage is simply far too much and wants more opportunities for stability in low-income families. Recognizing her own struggles and frustrations with housing affordability as a parent, she admits that three years ago, her son Ryder offered her all the money in his piggy bank so she could buy him a new house with a yard and a tree-house. After getting more and more involved with the Federation and joining many committees, Bree was honored to be appointed to the Board of Directors two years ago. Speaking frankly about her experience on the board, she mentions the sneaking feeling she gets every so often that she doesn’t belong at that table because she isn’t as well-versed in housing legislation, tax credits, and funding as some other Board members are. However, she is also quick to remind herself and others that she brings a different, but certainly vital, skillset to the team. She understands that her strong communication skills, ties to the community, business savvy leadership, and ability to make people aware of the issues are what makes her an asset to the SDHF team. She is the inspirational epitome of a woman rising through the ranks to achieve greatness. The ballot measure SDHF has planned for the 2020 election season is what Bree points to as the most exciting feeling she’s had with the Federation so far. She’s inspired by the idea of “being heard” and potentially changing the law or creating something new, and in this case, developing homes. Bree doesn’t limit her charitable ways to just the holiday season. Her giving spirit runs year-round in the form of donations to many organizations that are “near and dear” to her heart. She lists about ten organizations and causes she regularly keeps up with and donates to. When it comes to celebrating the holidays, she makes sure to slow down a little and take time to spend with loved ones. As her everyday life is hectic and her schedule is jam-packed, she finds it important to unwind from it all during the holiday season. Thank you, Bree for your commitment to the sector and your drive to give back. You are an inspiration. Ginger is no stranger to the concept of housing affordability. As a child, her family constantly relocated due to lack of affordability and proximity to her mother’s work. When she was a young adult, she was forced to endure a long commute just so she could afford rent. She feels the constant moves throughout her childhood disrupted her education and she wants to improve these circumstances for future generations. Providing stable environments for residents to thrive in is what Ginger Hitzke is all about. Despite having frequently experienced difficulty with housing, Ginger finds it funny that she didn’t realize how constant the theme was in her life until later in adulthood. In fact, she believes her work in Affordable Housing came down to chance: she was the first employee hired at Affirmed Housing in her early twenties and her passion for the business grew from there. She founded Hitzke Development Corporation roughly eleven years ago and her passion shows on her face anytime she talks about her work. She marvels at the need to be a jack of all trades when developing a property, as soil, rainfall, drainage, landscaping, and structural design are all topics she never would have thought about prior to owning her own development company. She also stated that she “one-hundred-percent” loves what she does. To Ginger, Affordable Housing means enjoying stability and a higher quality of life for yourself or your family. She works hard to ensure her residents can afford to live where they work, have money for other things in life, and feel good about their quality of life. She accomplishes this by understanding that for those with severely low incomes, affordable rent is simply one of the best services this sector can provide. Her organization keeps rent as low as they possibly can every year and does their best to work with residents when they struggle to make ends meet. Thank you, Ginger, for all you do. We appreciate you both giving back to the community and working to support and encourage the next generation! Like many others right out of college, Elaine thought Affordable Housing was simply what one could afford to pay when sharing rent with multiple roommates. But now, with many years in the business, she distinguishes the term to be about opportunity for the people. She believes Affordable Housing serves as a “bridge” that allows a family, senior, or individual to pay a reasonable rate and rest easy, knowing they will still have money left over at the end of the month for other necessities. Having worked as a reporter and public relations specialist for many Affordable Housing related clients, Elaine became acutely aware of just how unattainable housing is for so many San Diegans. After working at Wakeland, she is committed to helping people be able to “take a breath” and find the opportunities they need to afford a stable home. An active member of the San Diego Housing Federation for roughly five years now, Elaine has worked on just about everything from the Marketing and Outreach Committee, to the Ruby Awards, and the Annual Conference. She understands the many different ways Affordable Housing can help someone and how every resident has a unique story to share. She recalls feeling deeply moved upon hearing residents speak at SDHF events because she truly believes this industry is for them. Recalling favorite SDHF memories with a laugh, Elaine shares what she calls a “nerdy” story about a survey she worked on with board members to find out how the Federation was performing in the eyes of its members. She remembers feeling excited about the opportunity to discover what current members thought of SDHF’s work, then using those results to strategize an approach for gaining new members. Formulating that particular survey sticks out in her mind due to the interest she found in the topic of bettering the organization, a true testament to Elaine’s enthusiasm for SDHF’s mission. Elaine’s spirit of generosity clearly shines through when she wishes for generosity in the Affordable Housing industry as well. She strongly believes anything that can be done to help, should be. Any resources or dollars that can be put toward housing, should be. Because home is where everything starts. Thank you, Elaine for being a strong voice for our sector and constantly working toward better public relations! Feel free to bring a pie over to the Federation anytime. Shannon Roark works in Resident Services at Wakeland Housing and Development Corporation, but her dedication to this industry is evident through all she does. Her high level of involvement in the Resident Services Support Network (RSSN) program highlights how passionate she is about improving the lives of everyone in Affordable Housing communities, from the residents to the staff. Shannon recently earned a Bachelor of Arts degree in Interior Design, yet throughout her busy studies, she never failed to coordinate and lead many RSSN workshops or let her performance at Wakeland be anything but her best. Her “can-do” spirit inspires everyone around her to work as hard as she does. Shannon’s tireless efforts to continuously improve resident services is admirable and SDHF is proud to work with her at monthly workshops and the annual RSSN Institute. Shannon is a selfless, knowledgeable, and highly motivated woman, and thoroughly deserving of this award. Congratulations Shannon on being selected as SDHF’s 2018 Volunteer of the Year!